Home: Full index of contents and highlights • Section A: Mobile subscribers; handset share • Section B: Mobile Web; 3G and 4G; mobile Search • Section C: Mobile marketing, advertising and messaging • Section D: Consumer mobile behavior • Section E: Mobile apps, app stores • Section F: Mobile payment, NFC, m-commerce, m-ticketing and m-coupons • Section G: Mobile financial services (MFS) and m-banking • Section H: VC investment in mobile. • If you use any of the stats, please remember to source and link to both the analysts and to mobiThinking. Please do not republish more than 5 percent of the content without seeking permission. There are 2.1 billion mobile Web users in the world. According to estimates by The ITU (June, 2013), there are 2.1 billion active mobile-broadband subscriptions in the world (this is people with a 3G or 4G connection). That is 29.5 percent of the global population. • Mobile-broadband subscriptions have grown 40 percent annually over the last three years. • Mobile-broadband subscription outnumber fixed broadband subscriptions 3:1. • In developed countries mobile-broadband users often also have access to a fixed-broadband connection, but in developing countries mobile broadband is often the only access method available to people. • Informa believes there were 1.9 billion 3G and 4G subscribers at the end of Q2 2013. See below for a breakdown of 3G/4G by country and definitions of 3G/4G. • Ericsson (June 2013) estimates that there were 1.7 billion global mobile broadband subscriptions at the end of Q1 2013. This is forecast to reach 7 billion in 2018. The mobile phone (smartphone) will continue to be the dominant mobile broadband access device. 4G: USA is leading the world with 62.5 million subscribers to 4G networks, followed by Japan and South Korea. By market penetration the leaders are South Korea, Singapore and Japan, according to Informa (Q2 2013). 3G: China has the most 3G subscribers at 325.5 million, ahead of the USA and Japan. By market penetration the leaders are Italy, Japan and UK, according to Informa (Q2 2013). • A 4G or fourth-generation network generally refers to an a high-speed mobile network based on LTE (Long Term Evolution) – more common – or WiMAX (Worldwide Interoperability for Microwave Access). 4G networks deliver data, such as Web pages, emails, music or video, much faster than 3G or UMTS (Universal Mobile Telecommunications System) networks, which in turn were much faster than 2G GSM networks. • The first 4G network was launched by TeliaSonera Sweden in December 2009, according to 4G Americas. While Sweden still leads Europe for 4G, rapid growth has led to USA, Japan, South Korea, Australia, Canada and Singapore overtaking Sweden. • Price is key to 4G penetration – only two of the top 20 LTE operators charge a premium price for 4G, these are the Optus in Australia and EE in the UK. “Pricing 4G access the same as 3G has proved to be the most effective way to increase 4G subscription numbers. Operators that have done this have seen an increase in data usage, higher data revenues and a reduction in churn,” says Paul Lambert, Informa Telecoms & Media. 3a) There are more mobile Internet users in China than any other country. • China Internet Network Information Center (CNNIC) estimates (July 2013): that there are now 464 million mobile Internet users (unfortunately the full report isn’t available in English yet). In February CNNIC said were 420 million mobile Internet users at the end of 2012. • More Chinese people access the Internet with a mobile phone (CNNIC July: 78.5 percent; end 2012: 74.5 percent of all Internet users), than with a desktop PC (70.6 percent of all Internet users), according to CNNIC. • If these stats are accurate, then China has lots more mobile Internet users than there are people in the US – the world’s third largest nation. • Analysys International estimates (July 2012): There were 450 million mobile Web users in China at the end of Q1 2012. • The combined 3G user stats from China Mobile, China Unicom, China Telecom (August 2013) and suggest there are 359.9 million 3G users in China. While 3G isn’t essential for mobile Web access, it is the minimum requirement for high-speed mobile browsing. • Section A: for all the latest mobile subscriber stats worldwide, including China etc. 3b) Four/fifths of Japanese people use the mobile Web, according to official stats. • Japan has 134.8 million mobile subscribers (95 percent of the population), of these 107.5 million (79.7 percent of mobile users) are mobile Internet subscribers (TCA, September 2013). In May 2012, 10.11 percent of Website hits/pageviews come from a handheld mobile device, according to StatCounter. • Growth in mobile Web penetration is strongest in Asia and Africa, where PC penetration is lower. • The worldwide leader for mobile pageviews by a considerable margin is Nokia, with 32.1% between its two operating systems Symbian (in sharp decline, reflecting falling market share) and Series 40 (which is growing fast). • N.B. The above data is based on pageviews, the proportion of mobile visitors could be higher because the average mobile visitor surfs less than the average PC visitors. • More analysis here. The most popular browsers, determined by Web pages visited are: Android with 25.5 percent; iPhone with 21.4 percent; Chrome with 15.6 percent; Opera with 12.3 percent; UC Browser with 11.1 percent, according to StatCounter (April 2014). • Mobile browsing stats: why do iOS users surf more than Android users?. Many mobile Web users are mobile-only, i.e. they do not, or very rarely also use a desktop, laptop or tablet to access the Web, according to On Device Research. • In many developing nations, the majority of mobile Web users are mobile-only, highest include Egypt at 70 percent and India at 59 percent. • In many developing nations, the mobile-only tend to be under 25. • In Africa the 85 percent of the mobile-only Web users access the Web with a feature phone. • In Africa the top mobile activities for mobile-only users are: downloading games (55 percent); downloading music (54 percent); social networking (52 percent); search (48 percent); email (46 percent). • Many mobile-only Web users do not have a bank account, in India this is 57 percent of the mobile-only. • mobiThinking note: The best thing about these stats is that they are generated by m-research. On Device Research has recruited panelists of 1,000+ panelists in each target country that answer questions on mobile via the mobile Web. 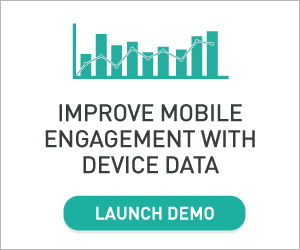 • Using mobile Web-based research to deliver insights into the mobile-only generation. 6b) In Kenya, 99 percent of Internet connections are mobile. There are 6.5 million Internet subscriptions in total and 6.4 million of those are mobile. It should be noted that this isn’t just access via mobile phones, but also PCs via 3G modems. Mobile Web subscriptions are growing at 69 percent year-on-year. In a country where mobile phone subscriptions outnumber fixed lines 107:1, there can be little doubt that the future of Web is mobile. (CCK, July 2012). • The insider’s guide to mobile Web and marketing in Kenya 2012. In 2011 over 85 percent of new handsets will be able to access the mobile Web. Today in US and Western Europe, 90 percent of mobile subscribers have an Internet-ready phone. See: for all the latest mobile stats on mobile subscribers, handset and smartphone share. • Gartner (March 2010) predicts that in 2011, over 85 percent of handsets shipped globally will include some form of browser. • In mature markets, such as Western Europe and Japan, approximately 60 percent of handsets shipped will be smartphones with sophisticated browsing capabilities. • In mature markets, the mobile Web, along with associated Web adaptation tools, will be a leading technology for business to consumer (B2C) mobile applications through 2012, and should be part of every organization’s B2C technology portfolio. • comScore (February 2011) estimates that 90 percent of mobile subscribers in US and Western Europe have a phone that can access the mobile Web. 48 percent of US and 61 percent of W. Europeans have a handset with an HTML browsers (this proportion is increasing fast), the rest have WAP browsers. • ComScore notes that there are more than 60 different types/versions of mobile browser in use on mobile handsets. This makes mobile Web design more complicated than desktop Web design. • dotMobi (July 2011) – mobiThinking’s parent company – estimates that there are 6,500 distinct Web-capable mobile devices models out there – that’s ignoring devices that only vary in color or phones that have be renamed/relabeled by operators etc. The majority of these are not smartphones. The specifications/features of these devices vary massively, screen sizes particularly. • ABI Research (July 2011) predicts that 2.1 billion mobile devices will have HTML5 browsers by 2016 (up from 109 million in 2010). HTML5 will help to deliver a richer, more interactive mobile Web experience, including being able to play video without needing a plug such as the Adobe Flash Player. • mobiThinking note on smartphones and HTML browsers: just because people may be able to view your PC Website with a mobile device with an HTML browser, doesn’t mean it is a pleasant or fulfilling experience. However big the device’s screen is, viewing a PC Website requires scrolling left and right and up and down. Don’t forget that most web-enabled phones are not smartphones and have much smaller screens. However good the mobile connection, large images will be slow to load. Many technologies commonly used on PC sites, such as Flash, do not work, or work well, on many handsets, including Apple. What’s more, mobile users have different requirements from desktop Web users and provide different opportunities for your business. 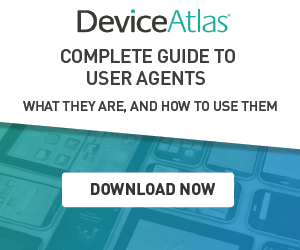 • For more on why your site needs to identify and react to mobile visitors see this Guide to device detection. • 3G networks are now been launched in 159 countries. Some countries such as Sweden, Norway, Ukraine and United States are already moving to 4G. • Ericsson (June 2012) forecasts that, by 2017, 85 percent of the world’s population will be covered by high-speed mobile networks. These networks will mostly be based on WCDMA/HSPA. LTE will be available at the high-end (led by deployments in the US, Korea, Japan and Western Europe). • Almost 60 percent of operators plan to launch LTE-based services in 2012 (33.7 percent) or 2013 (24.9 percent), according to a survey of mobile operators by Informa (May 2012). LTE, sometimes called 4G (forth-generation), networks allow increased download and upload speeds and faster response times, in particular for data-intensive services such as video. • The world’s largest LTE operators are Verizon Wireless (US), NTT DoCoMo (Japan) and AT&T (US), but lack of smartphone that support LTE, today, is preventing LTE becoming truly mass-market. • Strategy Analytics (May 2012) predicts that LTE will account 90 million mobile connections in 2012, led by US, South Korea and Japan. LTE will rise sharply to one billion connections by 2017, when it will comprise 15 percent of all mobile connections. 9a) Mobile data usage is expected to grow 20-fold by 2017, as cost per megabyte continues to fall, according to Portio Research. v Monthly mobile data traffic per smartphone user (worldwide in MB). 9b) More widespread availability of unlimited data plans has helped the US overtake and extend its lead in mobile media use (mobile Web, apps, content downloads etc) over Western Europe. • ComScore (Feb 2011) finds that where there are now 29 percent of US subscribers have unlimited plans, there are only 8 percent in the EU5 (UK, France, Germany, Italy, Spain). ComScore does not provide comparable data for Japan, where mobile media penetration is 75 percent dwarfing both the US and EU5. • But Infinita estimates that 75 percent of Japanese are on unlimited plans (it was first introduced in 2004), while over 95 percent have 3G handsets. In this Guide to Japan, Infinita states that penetration of unlimited data is the main reason mobile Web in Japan is so advanced. • mobiThinking note: the sharp rise in data usage (often down to the activities of a minority of customers) and impact on network performance has led to network operators – such as AT&T – revising their policies on unlimited data contracts. • “25 percent of overall search queries are now on mobile devices.” – BIA/Kelsey (April 2014). • In the UK, mobile was 43.4 percent of paid clicks in December 2013. In the rest of the Eurozone, it was 20.2 at the end of 2013 – Marin Software (March 2014). • 58.7 percent of smartphone users access search; 73.9 percent of tablet users access search – ComScore Mobile future in focus (March 2013). • “During the 2014 Winter Olympic Games, 60-65 percent of Olympics-related searches were performed on a smartphone or tablet.” – Google (April 2014). • The number of calls to business driven by mobile search is growing at 42 percent per annum and is predicted to fuel a staggering 65 billion calls in 2016 – BIA/Kelsey (April 2014). • Does your mobile site make calling easy with click-to-call? • Sorry we had to turn comments of on this article due excessive spam comments, if you have a comment on this guide, or would like to see your mobile stats included here, please email the mobiThinking editor, Andy Favell, on: editor (at) mobiThinking.com.